Halloween, it seems, was made for anthropologists. 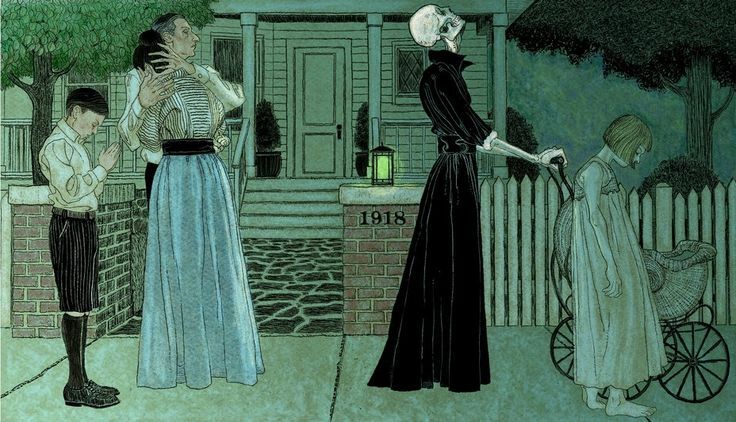 While many anthropologists devote their time in the field to studying supernatural belief systems, arcane rituals or traditions still infused with spiritual and symbolic significance, the Halloween season encourages Americans to uncover the skeletons in their closet and confront the ghosts that still haunt our culture. Although we often ignore the supernatural undertones of American culture, a Huffington Post/You Gov poll revealed that 45% of Americans believe in ghosts (Spiegel 2013), while 18% of adult Americans believe that they have seen or been in the presence of a ghost (Lipka 2013). On a more pernicious note, witch-related killings have begun to spike, particularly in parts of Florida. Quite apart from being one of the most religious countries in the developed world, the United States has often downplayed its belief in the supernatural. Much of the modernizing discourse of the 20th and 21st century has framed supernatural belief as gullible and unscientific; Western biomedicine proposes biological origins for illnesses that may otherwise be perceived as supernatural in nature. Yet Halloween is an opportunity to explore what nightmares persist in our cultural consciousness, and the extent to which our fears may still circulate around demons and ghosts. The study of the supernatural in the United States has been thwarted partially by conflicting ideologies surrounding belief in the preternatural. Americans do not want to seem uneducated, or, in some instances, mentally ill if they disclose an experience that they might classify as otherworldly. And yet our country is built upon ghost stories, a relationship with the dead, and a tourist industry teeming with people itching to make some kind of supernatural connection on “Ghost Tours.” Indeed, horror movies demonstrate the best return on investments in Hollywood–Americans continue to love a good scare (Bui 2015). Paul Bray has stated, “The American occult is the intellectual life of the common people” (Nelson 2001). The University of Pennsylvania, the University of Virginia and the University of Edinburgh all have research centers devoted to studying parapsychology and the paranormal. Paranthropology is an entire journal dedicated to the anthropological study of the supernatural. Yet, as applied folklorist David Hufford has written, social scientists have often strived to explain away belief in the supernatural (1982). While anthropologists may balk at identifying as functionalists—individuals who attempt to identify the utility of social structures, relationships and rituals—anthropology is largely driven by the desire to understand cultural patterns, beliefs and behaviors in order to grasp why people act the way that they do. 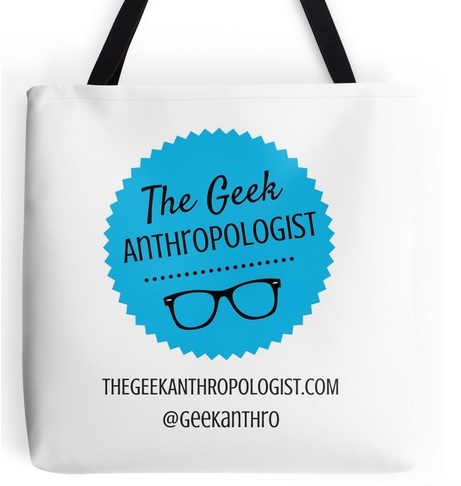 A variety of theoretical and interpretive strategies have been employed by anthropologists when confronted with the fantastical, the horrific, or the otherworldly. Some anthropologists may adopt the belief systems of the community they study, such as Karen McCarthy Brown’s decision to incorporate one of the vodou loa into her life for solace and protection (1991). Many anthropologists choose to take a more academically dispassionate route, acknowledging the epistemological reality and salience of the supernatural, while tacitly undermining the possible ontological reality of such beliefs. Michael Taussig (1980) employs a political-economic and Marxist approach to beliefs in the Devil among Colombian plantation laborers, while Luise White (2000) contextualizes vampire beliefs in East and West Africa within the colonial complex of medical, economic and religious exploitation. Spirit possession among young girls could be interpreted as a form of gendered agency within an otherwise patriarchal structure, and confrontations with the dead may demonstrate cultural manifestations of PTSD among former child soldiers in Uganda (Neuner et al. 2012). All of this to say that anthropologists have a number of different approaches to making sense of the supernatural, often related to other sexual, political, economic, social, health-related and gendered aspects that do not necessarily diminish the potency of the preternatural, yet still finds certain spiritual beliefs somewhat inexplicable. What do we make of the monsters? This is a question I have asked myself ever since I started studying anthropology. We like to think that America has no monsters, only tourist destinations made all the more alluring my urban legends and folk tales. But anthropologists focusing on medicine and STS also recognize that there are still phenomena for which we have no scientific, rational explanation, the spaces that resist modern logic. For instance, it has only been in the last several years that psychologists, doctors, anthropologists and folklorists have begun to realize the relationship between supernatural phenomena and the condition of sleep paralysis. Even though approximately 25 to 40% of people report sleep paralysis experiences around the world (Cheyne et al. 1999, 319), sleep paralysis is still woefully misunderstood. One of the obvious symptoms of sleep paralysis is total body paralysis—experients are awake, often with their eyes open, but unable to move. Other characteristics often associated with sleep paralysis are feelings of pressure upon the chest, a choking feeling, an ominous sense of fear or dread, and hypnagogic or hypnapompic hallucinations (Hufford 1982). These hallucinations take a multitude of forms depending on the cultural context. Many of these hallucinations are associated with supernatural traditions and legends that go back centuries, including the succubus and the Old Hag. Even the etymology of the word nightmare can be traced to a feeling of pressure or tightness in the chest and suffocation, often associated with a nocturnal attacker (Davies 2003, 184). Almost every culture has a different word to describe the phenomenon of sleep paralysis embedded within culturally constructed supernatural beliefs to explain the physical, visual and auditory symptoms. Rather than explaining away the supernatural creatures and entities responsible for sleep paralysis, then, perhaps we can consider how the paranormal informs and complements science, medicine, and modernity writ large. Experiences of spectral evidence and ghostly visitation used in Salem testimony, as well as accounts of alien abduction, may in fact be related to the phenomenon of sleep paralysis. The shape of these nocturnal attackers varies from culture to culture, and yet their impact upon the experient cannot be denied. We still do not understand the physical or neurological causes of sleep paralysis. Many experients didn’t go to the doctor, for fear that their accounts would sound like symptoms of mental illness. Perhaps if we lived in a culture more permissive and accepting of the supernatural, more conversation could be facilitated across disciplines and sub-specialties. There are plenty of supernatural traditions in the United States for anthropologists to study, if only they took the time to peer through the glass, darkly. Brown, Karen McCarthy (1991). Mama Lola: A Vodou Priestess in Brooklyn. University of California Press. Cheyne, J. Allen, Steven D. Rueffer & Ian R. Newby-Clark (1999). “Hypnagogic and Hypnopompic Hallucinations During Sleep Paralysis: Neurological and Cultural Construction of the Night-Mare.” Consciousness and Cognition, Vol. 9, 319-337. Davies, Owen (2003). 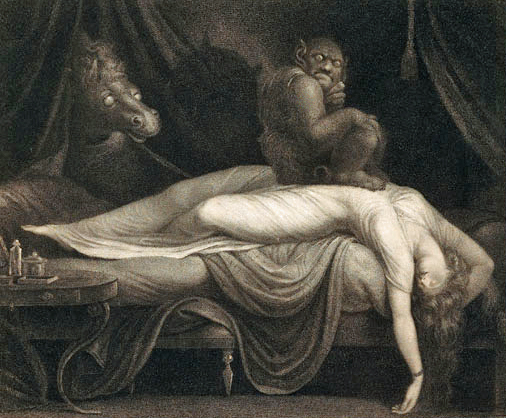 “The Nightmare Experience, Sleep Paralysis, and Witchcraft Accusations.” Folklore, Vol. 114, No. 2, 181-203. Hufford, David (1982). The Terror That Comes in the Night: An Experience-Centered Study of Supernatural Assault Traditions. Philadelphia: University of Pennsylvania Press. Nelson, Victoria (2001). The Secret Life of Puppets. Cambridge: Harvard University Press. Neuner, Frank et al. (2012). “Haunted by ghosts: Prevalence, predictors and outcomes of spirit possession experiences among former child soldiers and war-affected civilians in Northern Uganda.” Social Science and Medicine 75: 548-554. Taussig, Michael (1980). The Devil and Commodity Fetishism in South America. The University of North Carolina Press. White, Luise (2000). Speaking with Vampires: Rumor and History in Colonial Africa. Berkeley: University of California Press. Fascinating post, though I don’t think I’d like to live in “a culture more permissive and accepting of the supernatural.” Permissive, yes. Accepting? Not without empirical evidence.